"As iron sharpens iron, so one man sharpens another. 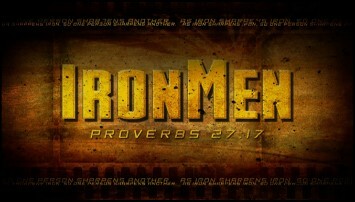 (ESV)"
Perry Christian Church Men are IronMen. We want to sharpen one another. We want to see every man connect with Jesus and to develop their faith! Currently there is a Men’s Group that meets every Saturday morning from 8 – 9:30 studying through the book of John. Every man is welcome to attend and enjoy the study and fellowship.